NIDA is proud to host the initial Starstruck workshops in Sydney in September 2018. The development of new Australian work resonates with the school’s primary aim – which is to provide an immersive creative environment that encourages collaboration and innovation. In partnership with the best of our Australian professional artists, the students of NIDA (both undergraduate and post-graduate) will work on the development of the new Australian musical Starstruck, with the book workshop to take place this year and a fully-mounted production scheduled as the graduation production in 2019. 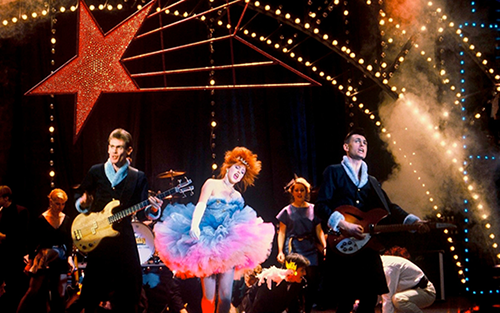 Starstruck is the new Australian musical based on the 1982 film by Academy Award-winning director Gillian Armstrong. Adapted for stage by Mitchell Butel, designed by Brian Thomson (Jesus Christ Superstar, The Rocky Horror Show and Starstruck the film) and produced by Garry McQuinn for RGM Productions.